Find out more on Hotel A La Commedia, a gem of style in the heart of Venice, where you can relive the splendor of the Serenissima. 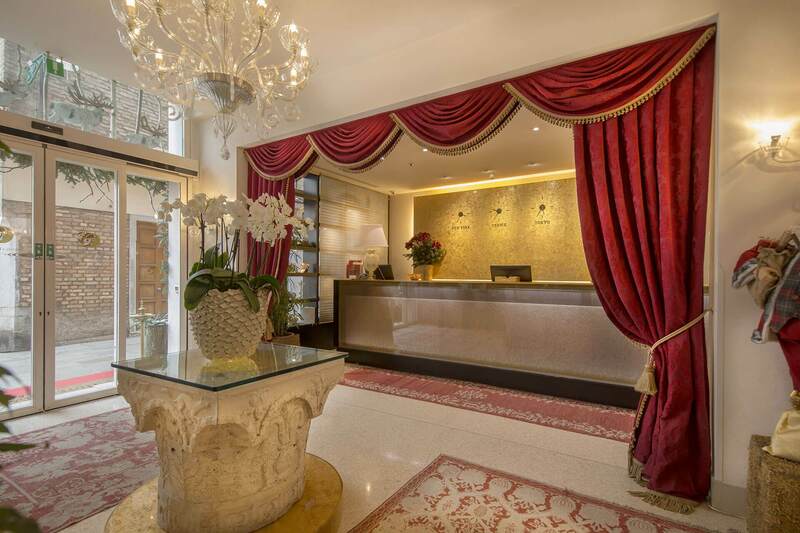 In the heart of Venice, just a stone's throw away from the Rialto Bridge, Hotel A La Commedia is also a few meters away from the famous Goldoni Theater. 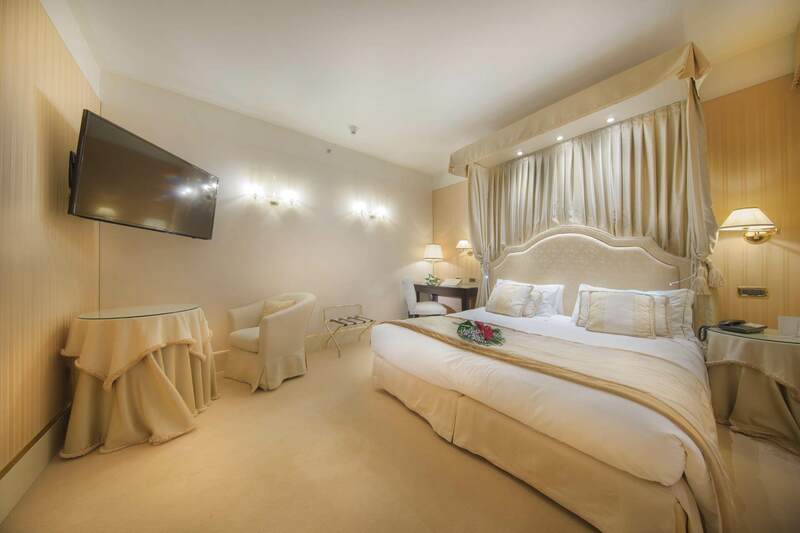 Elegance, light and comfort: our rooms are an ideal retreat where to relax, in a warm and refined atmosphere. 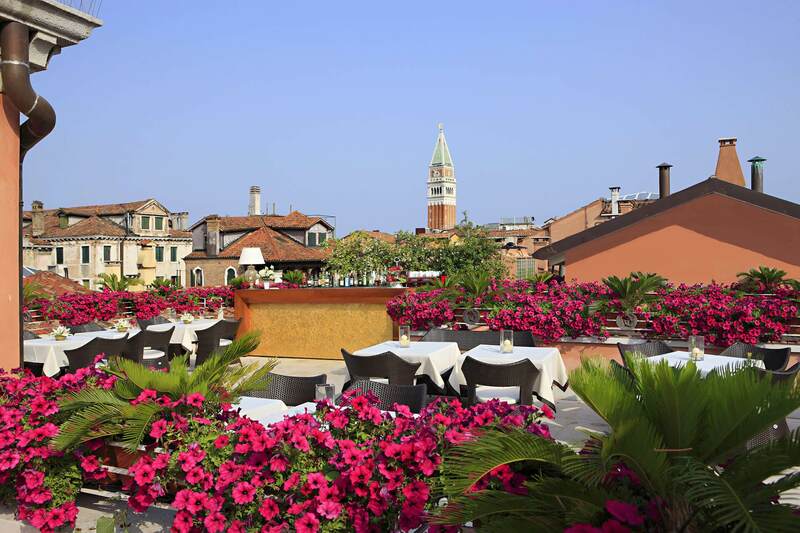 Treat yourself to a cocktail on the exclusive rooftop terrace overlooking the San Marco Bell Tower. Want to experience an unforgettable vacation? Why wait any longer? Let the show begin! Do not miss the unique experience of enjoying a cocktail or a light lunch at Il Loggione, the splendid terrace at Hotel A La Commedia's fourth floor, with breathtaking views of San Marco's bell tower and the roofs of the historic center. Culture in Venice is livelier than ever! 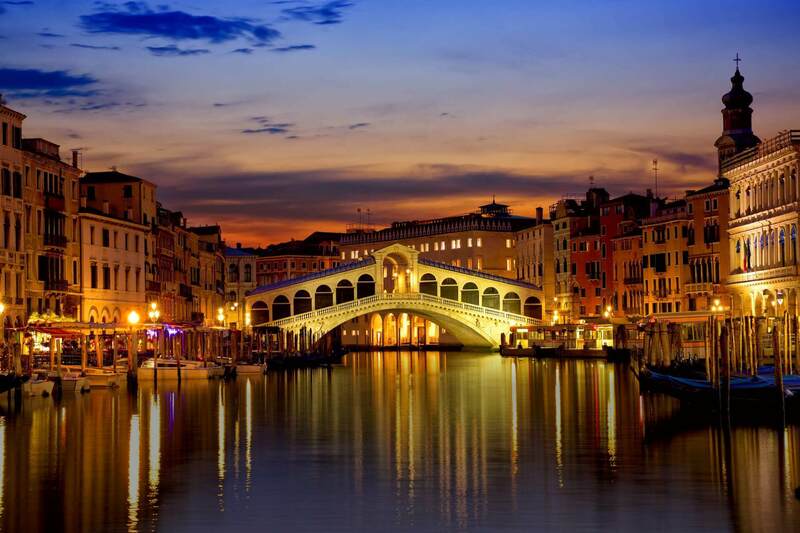 is in the limelight: two steps away from the Rialto Bridge and a few minutes from St. Mark's Square. the best rate can only be found here, on our Official Website. Book without any hassles! Refined, spacious, bright. Let yourself be enveloped in the charm of our rooms, cared for in every detail and with the most advanced comforts, to give you a stay worthy of... a standing ovation.